The remainder of the Top 5, comprised of UCLA, Hawaii, UC Irvine and Ohio State, also stood pat from last week. No team moved more than one spot up or down among the Top 15. Loyola and BYU traded spots, with the Ramblers moving up to No. 6 after besting then No. 13 USC on Saturday. The Cougars split weekend matches with then No. 14 UC Santa Barbara. The Gauchos climbed a spot to No. 13 with the split. 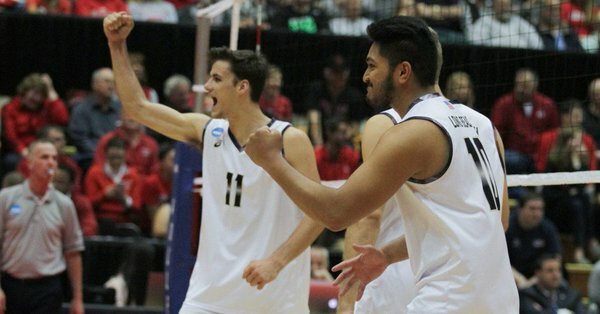 Pepperdine moved from 12 to 11 with a sweep of Princeton. The one surprise in the poll is that USC remains among the Top 15 in a tie with Fort Wayne at No. 14, despite standing just 3-7 on the year. No other ranked team is under .500 for the season. In addition to the loss to Loyola, the Trojans also fell via sweep to No. 8 Lewis on the road.